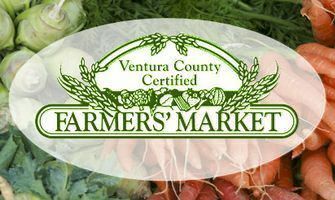 Enjoy a wonderful outdoor shopping experience with California farmers bringing you the freshest, vine and tree ripened fruits and vegetables. Other California agricultural items include: fresh meat products, herbs, honey, eggs, whole and shelled nuts, cheese, olive oil, fruit juices, jams, jellies, cut flowers and potted plants. Wonderful artisan bakery products, ethnic foods and tasty hot foods prepared onsite. Ocean fish fresh from the boat is also a real treat offered here. Bring the family and have fun! Sample new and exciting products. Open year-round, rain or shine. SNAP/EBT customers welcome. Redemptions authorized at Market Information Booth. Located in east parking lot. Sorry No Pets! California state health laws restrict all animals from the markets, except service animals.